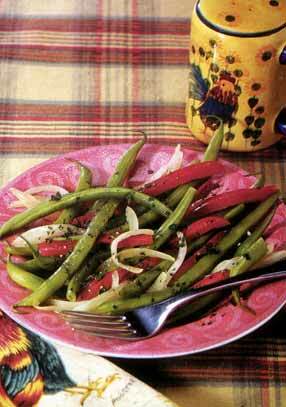 *To blanch green beans, bring a large stock pot of lightly salted water to a boil. Carefully, place the green beans in the water and turn off the heat. Let the beans sit in the hot water for 3 minutes. In the meantime, have a bowl of iced water ready. Drain the beans through a colander and plunge the beans into the iced water to stop the cooking process. In a large bowl mix the onion, tomatoes, oil, vinegar, mustard, salt and parsley. Add the green beans and toss to coat. This entry was posted in Modified Profast (Fast and Flexible) Recipes, Salad, Vegetables and tagged easy, green beans, healthy, metabolic diet recipes, metabolic medical center, Metabolic Medical Center Recipes, onion, Salad, side dish by foodies4mmc. Bookmark the permalink.